While driving a vehicle with great fuel efficiency does save you more on gas, that’s only part of the solution. Did you know that you can save even more on fuel just from the way you drive? You can reduce your fuel consumption by over 25% if you start changing some of your daily driving habits. Let us here at Team Ford break down a few fuel-efficient driving tips so you can spend less time at the pump! We listed down some of the best and easiest tips for you to get started right away. One of the ways you can start using less gas is to literally use less gas! The harder you accelerate your vehicle, the more gas your engine uses up, so it’s always best to press the gas pedal gently. If you do want to pick up some more speed, you just have to gradually press the gas pedal down to increase the acceleration of your vehicle. While most of us are tempted to speed up, keeping a steady speed on the road actually helps us save more on gas. When your speed dips from slow to fast at repetitive bursts, it can use up over 20% of fuel. For example, if you keep varying from 75 km/h to 85 km/h within a span of 18 seconds, it uses more gas compared to just driving at 75 km/h consistently. That’s why it’s also better to drive at the speed limit of the road because you don’t have to accelerate even further (despite our temptations). Not only does this apply to race cars, but it also applies to the everyday vehicles we drive as well! When we decrease the amount of weight and increase the aerodynamics of our vehicles, we don’t have to use up as much gas to propel it forward. To reduce drag, you can remove some unused items from inside your vehicle, as well as anything on the outside such as roof racks and ski boxes attached to the roof. Additionally, you can close the windows and sunroofs as the wind coming inside your vehicle will also create drag. The morning commute can be a bit stressful, especially when traffic is held up. That’s why it’s always better to anticipate when roads or highways are going to be obstructed so you can plan a different route that doesn’t keep your vehicle idle. As you may have figured out at this point, a lot of your fuel consumption is caused by how much you step on the gas pedal while driving. What most people don’t know is that the brakes also affect your fuel consumption. If you want to use less gas while stopping your vehicle, let it coast through the road without stepping on the brakes and then gradually step on it as you come to a stop. Having a dirty air filter in your vehicle makes it work harder than before. That’s because the dirt blocks the air that’s needed to get the engine going. Check with your vehicle’s user manual or manufacturer’s recommendation to see how often you should replace the air filter. These were just a few of our favourite tips on how to consume less fuel while driving. Looking for a more fuel-efficient vehicle to save even more on gas?  Come to Team Ford to learn more about our fuel-efficient cars, trucks, and SUVs!